Who grant the approval of MM2H application? The Home Ministry and Immigration Department of Malaysia. No, you do not have to be present in Malaysia at the time of submission and during the processing period of the MM2H application. We as your MM2H agent will take care of all matters arising during this time; We will complete the application with close follow-ups. As soon as we obtain the MM2H Conditional Approval Letter from the Immigration of Malaysia, you (spouse and dependents, if applicable) will then make arrangement to visit Kuala Lumpur to complete the conditions set forth by the Immigration Department and to receive the MM2H Pass & Visa endorsement(s) on the passport(s). Do I need to be in Malaysia for the application of the MM2H program? Do I need to be in Malaysia when applying for a renewal? Yes, all participants MUST be present in person with their passports in Malaysia to receive the renewals or extension of the MM2H Pass endorsements from the Immigration of Malaysia. No, they cannot be considered equivalent to the required Fixed Deposit stated in the Conditional Approval Letter by the Immigration of Malaysia. You may apply to withdraw part of Fixed Deposit one year after the issuance of your MM2H Pass. Can I use my existing non-cash assets in Malaysia to fulfill the MM2H condition? As of December 2018, the processing time is more than 8 months and pending on approvals from the Home Ministry. How long does it take for my MM2H application to be processed and approved? What do you advise me on improving my chances of MM2H approval? In order to receive MM2H approval, you must show that you have a strong financial background by providing complete documents for latest 3 months cash-in-bank statements and monthly income. The main reasons are incomplete documents, insufficient funds, insufficient monthly income, applicants with criminal records or applicants that are black listed by our authorities. What were the main reasons applications were being rejected? Yes, provided you have a valid Social Visa at the point of application and are able to fulfill all the requirements as per our MM2H CheckList. The application can be done by the MM2H Agent while you are in Malaysia. If I have been staying in Malaysia for years, can I apply for MM2HP? joystay@gmail.com, we will reply you within 3 working days; if we are not able to answer your questions directly, we will forward your questions to the relevant authorities and we will get back to you as soon as we receive their reply. How do I get a licensed MM2H Agent to answer my questions regarding MM2H Programme? What is the fee I have to pay to my Agent to obtain the MM2H status? When you appoint Joy-Stay (MM2H) Sdn Bhd as your MM2H agent, you only need to pay the fees (as per your selected Plan) as detailed on our website. The fee is inclusive of signing the Personal Bond(s) with stamp duties paid; obtain the MM2H Conditional Approval letter and guide you to complete all conditions set in the Letter in order to receive your MM2H Pass endorsement. What do I do next if I wish to appoint Joy-Stay (MM2H) Sdn Bhd to act as my MM2H Agent? Visit our webpage: MM2H Online Assessment and submit the answers via the internet and we will reply with guidance on how to complete the documents for a successful MM2H application. We strongly advise you to let us review all documents via email prior to delivering them to us, this is to minimize time and postage in case your documents are not in the right order. How would I know if Malaysia is suitable for me? We would strongly advise you to pay a visit to Malaysia for a familiarization trip so that you can see the country personally and to evaluate the advantages of living or retiring in Malaysia. We will assist you to complete your medical check-up requirement and to purchase the required medical insurance; you will have to pay to the respective parties directly for the fees and premium incurred. How can I complete the required medical check-up and what type of medical insurance policy should I purchase? When exactly will I obtain the MM2H-10-Year-Social Visit Pass with Multiple Entry Visa (MEV) ? Upon fulfilling all the conditions of approval as listed in the MM2H Conditional Approval Letter, we will then accompany you to the MM2H Immigration Unit at Putrajaya to settle the visa fees and to obtain your MM2H Pass endorsement. What are the main incentives & benefits of this program? Earn interests for fixed deposits placed in Malaysia. Tax exemptions on offshore income and interest earned through the fixed deposit placed in Malaysia. Bring one domestic helper along with you or hire a foreign maid from countries approved by Malaysian Government. Flexibility of staying in Malaysia for as long as your MM2H Pass is valid; and with the convenience of Multiple Entry Visas, you may enter and leave the country as you wish. Open saving, current or fixed deposit accounts with any bank in Malaysia. (Foreigners on normal social visit pass are not allowed to open bank accounts in Malaysia). MM2H Pass & Visa = MM2H-10-Year-Social Visit Pass with Multiple Entry Visa (MEV) Successful applicants will be issued MM2H Pass as long as the holders do not violate the rules and regulations of the Immigration Department of Malaysia. The MM2H Pass is renewable at the end of the 10-year period provided you fulfill all criteria set forth by the Immigration of Malaysia. 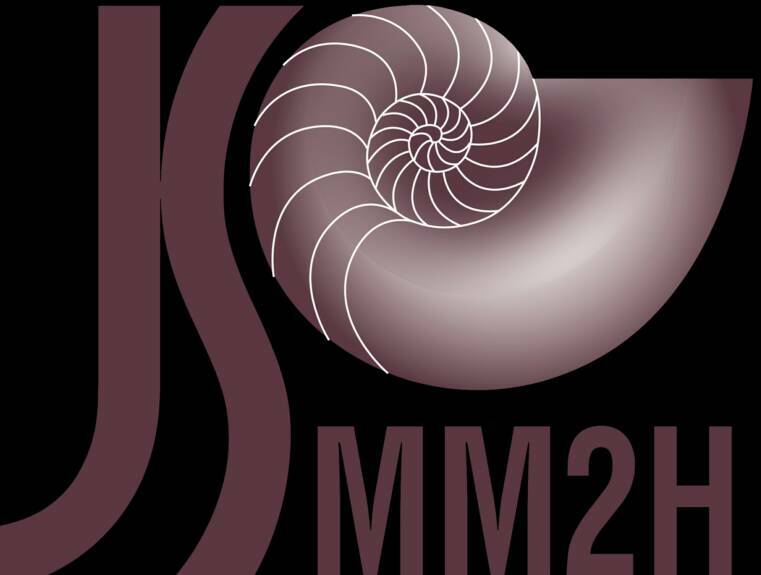 What is MM2H Pass ? If my passport is valid for the next 3 years, will I receive the full ten-year visa endorsement ? The MM2H Pass will be issued based on the validity of your passport. You will be entitled to receive up to ten (10) years Pass if your passport is valid for the next ten years. If your passport in only valid for 3 years, you will be issued a 3-year Pass. You will receive the balance of the 10-year Pass after you renew your passport. Yes, all participants must be present in person with their passports in Malaysia whenever they wish to receive the MM2H Pass endorsements from the Immigration Department. All extension or renewals should be done at least 2-3 months prior to the expiry date. You may engage Joy-Stay as your MM2H Agent to complete the application. Do I need to be in Malaysia when applying for extension or renewal? What is the minimum days to stay in Malaysia per year after obtaining the MM2H Pass endorsement? There is no minimum days you require to stay in Malaysia per year. You may visit and leave as you wish with no restrictions after you obtained the MM2H Pass endorsement. Currently, our Immigration does not consider the period of stay under the MM2H Programme to fulfill the PR's requirement. Therefore, living in Malaysia under the MM2H Programme does not qualify you for the PR status in Malaysia. After joining this program, can I apply for Permanent Residency? Applicants may include legal spouses and children under the age of 21 as dependents. Applicants can also apply to include Parents over age of 60 after the Main Applicant received the MM2H Pass. All children must be under 21 at the time of issuance of MM2H Pass. What's the maximum age for children to apply under the family application? Should I apply MM2H for my children who are /will be attending school in Malaysia? Not necessary, children who are above age of 18 must have the Student Pass to attend schools in Malaysia. Children below age of 18 may apply for Special Student Permits under the MM2H status to study in Malaysia. Does a child need a Student Visa to attend kindergarten here? They should apply for the Student Pass to study in Malaysia. Yes, as long as the children are being accepted by the private or public schools in Malaysia. Can the children of the successful applicants attend schools in Malaysia? How can I complete the required medical check-up and what type of health/medical insurance policy should I purchase? We will assist you to complete your medical check-up requirement and to advise you on what type of medical/health insurance to purchase; you will have to pay to the respective parties directly for the fees and premium incurred. Can I receive medical treatment in Malaysia? You may only withdraw up to MYR50,000.00 or MYR150,000.00 (whichever is relevant to you) after a period of one (1) year from date of issuance of MM2H Pass with prior written approval from the Ministry of Tourism for expenses relating to house purchase, car purchase, education expenses for children and medical expenses in Malaysia. A minimum balance of Fixed Deposit of MYR100,000.00 or MYR150,000 must be maintained from the second year onwards and throughout the duration of participation under MM2H Programme. The FD withdrawal is on reimbursement basis. Can I withdraw my fixed deposit after successfully joining this program? If not, when can I withdraw my fixed deposit? Please refer to above. You are not allowed to withdraw the fixed deposit for the whole duration of the first year period or without prior written approval from the Ministry of Tourism. No, you have to place the required fixed deposit in any bank located in Malaysia. Can I place the fixed deposit in a Malaysia bank located in my country? Which banks am I required to place my fixed deposit? You may place your fixed deposit at any banks here, including foreign banks with local branches in Malaysia. Can I place the required fixed deposit in a foreign currency? The fixed deposit for this program must be placed in Malaysian Ringgits; any amounts beyond the stated requirement can be made in other foreign currencies. No, you must fulfill the fixed deposit requirement. The purchase of a house is not compulsory for participants under this programme. Can the purchase of a house in Malaysia which is valued more than RM500,000.00 be considered as having fulfilled the financial criteria for this programme? Am I allowed to make withdrawal from my fixed deposit for a few months and then topped it back later? You must be present physically with your passport and the original MM2H Conditional Approval Letter at the bank in order to open the bank accounts here. How to open Fixed Deposit Account in Malaysia? Can I open a current account with the banks in Malaysia? Yes. As above, you must be present physically with your passport and the original MM2H Conditional Approval Letter at the bank. Some banks might require an introducer before you could open a current account. MM2H participants are allowed to invest and actively participate in business, subject to existing Government policies, regulations and guidelines which are in force for the relevant sectors. Participants can participate in the local share market. Can I open a restaurant, book shop or clinic in Malaysia under this programme? I am a qualified doctor in Australia. How can I get a job in a Malaysia hospital or a private hospital? Please refer to answer of Q2 below for more details. Can successful applicants be allowed to seek employment in Malaysia? Qualified MM2H main applicants aged 50 and above with specialized skills and expertise that are required in the critical sectors of the economy, are allowed to work not more than 20 hours per week. The application for the special part-time work permit must be submitted and processed by the Immigration and it is subject to the Immigration's approval. ​Please refer to the Ministry's webpage for "Apply for Part Time Job" for more details. All participants are allowed to purchase residential properties at the minimum purchase price for foreigners established by the respective state governments. Please refer to the Ministry's Webpage "Purchase a House" for details. What types of properties are allowed to be purchased by the MM2H participants? No, participants are required to fulfill the fixed deposit requirement. The purchase of a house is not compulsory under this programme. Only with prior written approval from the Ministry of Tourism, a portion of the fixed deposit may be withdrawn for payment made for house purchase one year after the issuance of MM2H Pass. Can the purchase of a house in Malaysia be considered as having fulfilled the financial criteria for this program? You are only allowed to purchase residential properties under the MM2H status. You need to set up a Registered Company here in order to purchase any commercial properties. Do I have to pay the yearly assessment and quit rent for my houses ? Yes, provided the MM2H participant has a Will indicating his/her beneficiaries. If not the next of kin of the participant will have to apply to the Government to have his properties released to them as the rightful heirs. You can purchase any type of housing properties provided that the properties have been issued with CF (Certificate of Fitness) directly from the developers or from private individuals. Must I buy new properties only from developers, or can I purchase any property from individual owners (second hand or third hand property)? Are the participants subject to the property gains tax if they make a profit from selling their houses? Yes. The Real Property Gains Tax is applicable to Malaysians and foreigners. Can I apply for local financing from a local bank to purchase a house in Malaysia? Yes, you may apply for the loan in Malaysia subject to the terms and conditions of respective banks or financial institutions. Purchase one locally assembled car (including foreign brands) in Malaysia which is exempted from payment of excise duty and sales tax. What incentives do I have with owning a car in Malaysia? How much can I save in taxes on the purchase of a new car in Malaysia? Can I buy a second-hand local car and eligible for tax exemptions? Second hand cars are transacted on a willing buyer & seller basis and the government does not levy any sales tax and excise duty on such transactions therefore tax exemptions do not arise. If the car is repaired and sold, it will be subject to the applicable tax/duty according to the prevailing rates. If car is written off, taxes will be waived. If the participant wishes to buy another car, their application will be processed on the merit of each case. Under normal circumstances a participant of this program is allowed tax exemption for a new car on a one time basis. You can only sell the car after two years. Cars that have been exempted from taxes and duties under this program can be sold or its ownership transferred provided the prevailing taxes and duties on the car have been paid prior to the transaction. For imported cars the condition stipulated in the AP should be complied before any sale or transfer can be permitted. I would like to import my own car to Malaysia and what are the regulations? Under MM2H program, you are allowed to bring in personal car with duty / tax exemptions. You must apply to import your car within 6 months from the date you receive your MM2H Pass. You must apply to purchase your car within 12 months from the date you receive your MM2H Pass. What is the deadline for me to purchase a new car? Malaysia recognizes all international driving licenses. Therefore you do not need to obtain a new driving license in Malaysia as long as your international license is still valid. I have an international driving license; do I still need to sit for a driving test to obtain a driving license in Malaysia? Used personal and household effects that have been used for a period of not less than 3 months and will not be disposed of within 3 months after date of importation into Malaysia are not subject to tax. However, the participants of this program must make declaration with the Customs as per their requirements. If I wish to bring in personal belongings, what are the procedures and are the goods subject to tax? No, you do not have to pay tax on any offshore income. Do I need to pay Income Tax in Malaysia if I am drawing a salary in my own country ? Do I have to submit any personal tax declaration to the Income Tax Department of Malaysia, like Malaysians have to? What kind of taxes are the participants of MM2H normally subjected to? For MM2H participants, income tax is imposed on income earned from investments in local companies, local share market and from rental received in Malaysia. Is the interest for their fixed deposit taxable? Some say it is taxable, other it is not taxable. If the deposit amount exceeds RM100, 000.00 OR if the deposit period is one year. What is the exact regulation? You do not need to pay tax on interests earned from banks in Malaysia. Before year of assessment 2004, income remitted from abroad to Malaysia (apart from pension) is subject to tax. However, from year of assessment 2004 onwards all income remitted from abroad is not subject to tax. In other words, you do not have to pay tax on income generated from outside of Malaysia. Is income remitted from abroad taxable in Malaysia? If the participants have to submit income tax return to the Income Tax department, are they entitled to any exemptions under the programme? They will only be taxed on the income earned in Malaysia after taking into account the personal tax allowances. The income will be taxed according to a progressive tax rate structure. I am a German in which my country has a `double taxation agreement’ with Malaysia. I have an early pension and if I stay in Malaysia for at least 184 days, my pension scheme will not be taxed by the German Government and will also not be taxed by the Malaysia government. Is this true? Under MM2H Programme, pension remitted to Malaysia is exempted from tax. You are allowed to hire a foreign maid and this is subject to the approval from the Immigration Department. How to bring in a foreign maid from the country of origin of participant? Do I need a licensed MM2H Agent to submit for my MM2H application? Effective 9 January, 2009 foreign citizens may apply to participate in MM2H Programme directly,(applicants are NOT allowed to request friends or close relatives to submit the documents) OR they may use the services of MM2H agents licensed by the Ministry of Tourism, Malaysia. Only the directors of licensed MM2H companies with Tourism Malaysia are eligible to act as the sponsor for MM2H participants. The MM2H application requires a submission of Personal Bond signed by the Sponsor with stamping duties paid for each individual participating in this Programme. The engagement with a Licensed MM2H agent will ensure that your MM2H application to be submitted with complete documents as required by the Ministry of Tourism Malaysia. You do not need to be present in Malaysia during the application period. We as your MM2H agent will guarantee to obtain the MM2H Approval for you or we shall refund in full for the amount of fees we received. The Directors from Joy-Stay (MM2H) Sdn Bhd have been MM2H Programme sponsors since 1999 and we are confident and committed to serve you and to obtain the MM2H Approval for you to live and retire in this country under the 10-yr long-stay MM2H visa. Our fees and services are clearly detailed on our website, we believe in not having any hidden charges because we value your trust in us. Please contact us should you have any further questions, we will reply you accordingly. If we are not able to answer, we will direct your questions to the relevant authorities and we shall get back to you as soon as we receive the replies.